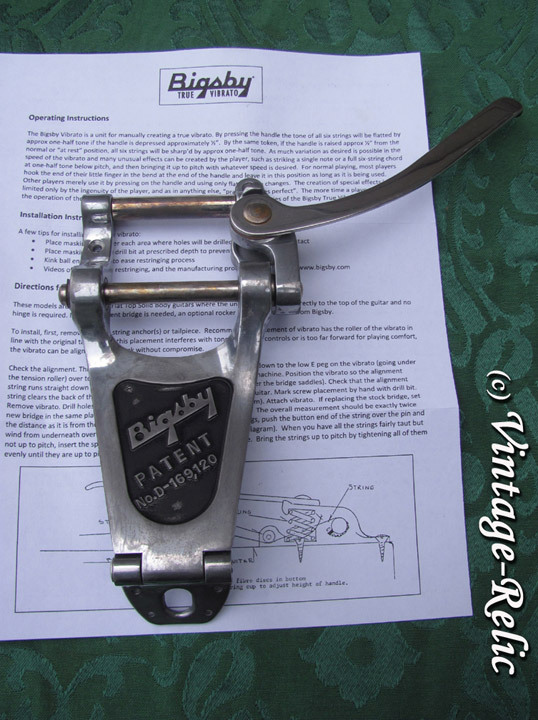 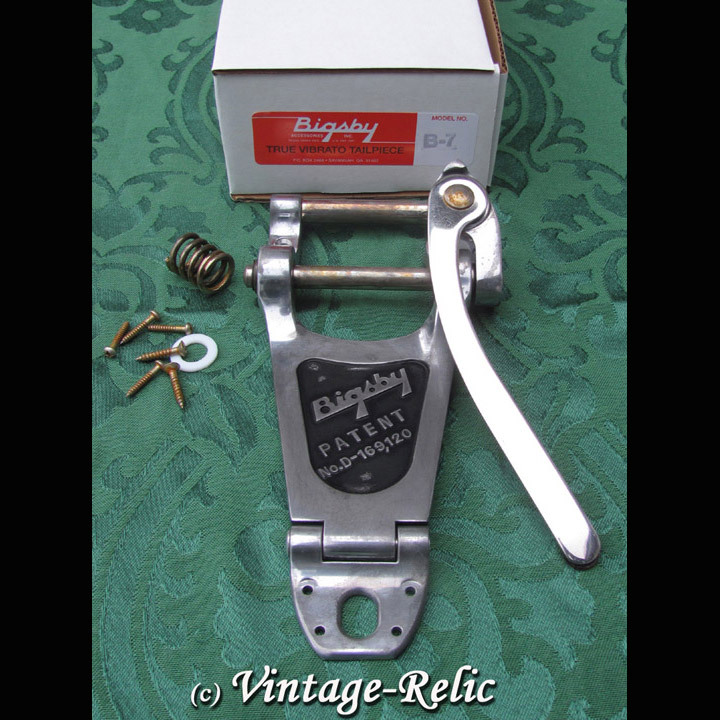 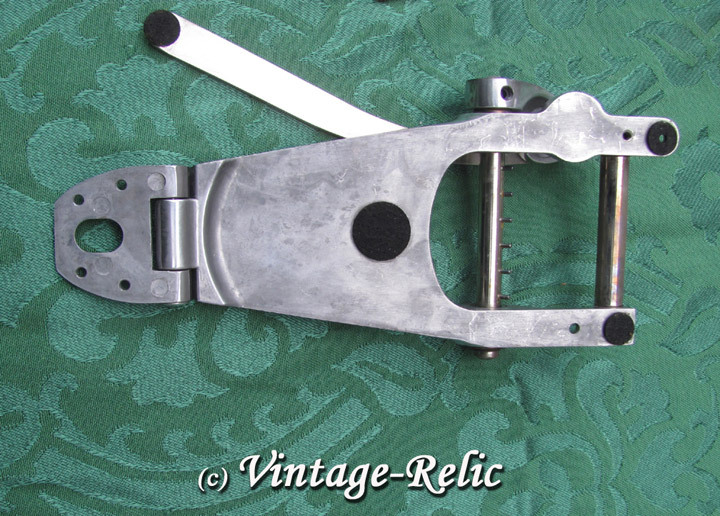 "Bigsby B7 USA Tailpiece [aged]"
Aged Bigsby B7 USA Vibrato Tailpiece for Gibson Les Paul, ES-335, and other guitars with arched tops. Includes all mounting hardware, instructions, and original box. 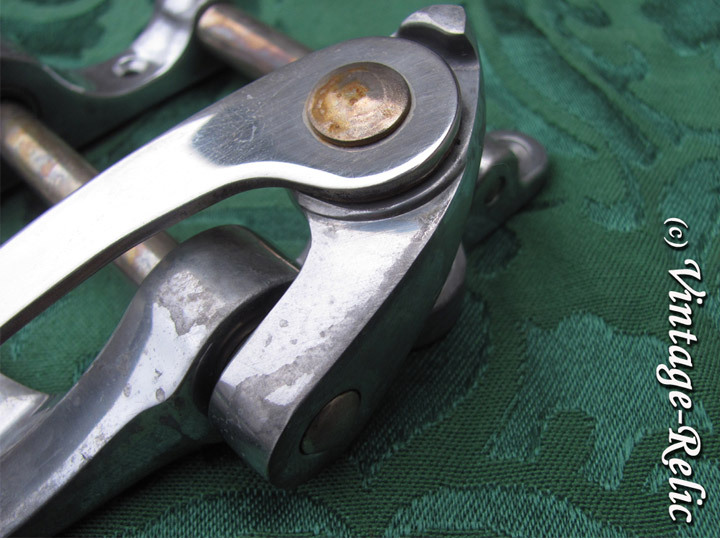 Model Name: B-7; Series: Original Kalamazoo Line; Manufacturing Method: Sand Cast; Manufacturing Material: Aluminum; Approximate weight: 354 grams/12.5 oz. 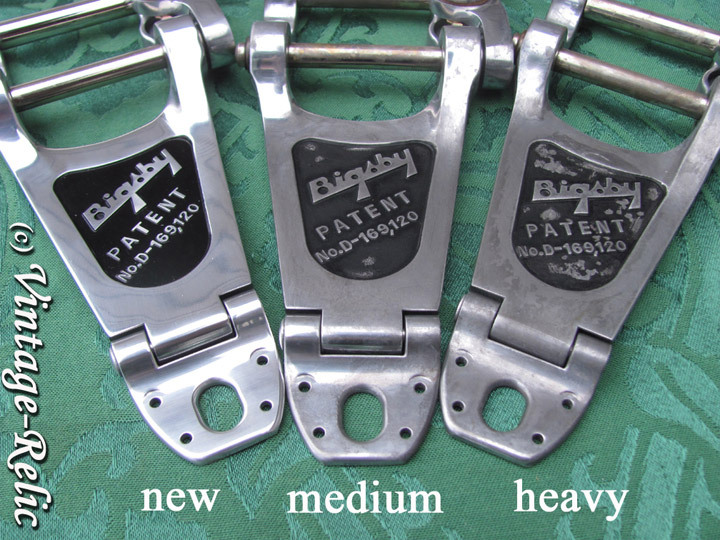 ; Overall Length: 8 3/4”/222.3 mm; Overall Width: 3 5/8”/92.1 mm; Arm adjusts with 1/8” Allen wrench and 5/16” socket wrench.